At Kerry Yoga we believe that yoga is for everyone of all abilities. We teach the Satyananda Yoga System. This style of Satyananda yoga offers "a systematic approach" starting in a gentle respectful, non-competitive way. This gives everyone an opportunity to benefit from yoga, and is suitable for people who are not so flexible, are tired, stressed or anxious. The gentle yoga poses soothe away aches and stiffness increasing our range of movements. This system can be adapted to suit all ages and abilities. Yoga is always practiced in a non-competitive atmosphere. By practising yoga regularly you will develop an awareness of your physical, mental and emotional processes. Yoga helps you to relax & handle stressful situations more easily. It teaches you how to calm the mind so you can focus your energy where you want it go. Yoga promotes positive thoughts & self-acceptance. Yoga will also improve your posture. The breathing practices, "Pranayama", that are embedded in each yoga class will greatly improve breathing patterns and correct poor breathing habits. This triggers off the relaxation response. Yoga helps to tone the body making it strong and flexible and improves posture; this empowers you, improving self confidence and self esteem.. The Yoga Nidra or deep relaxation at the end of each class releases deep tension, calms & relaxes the mind & whole nervous system and this brings deep relaxation and the feeling of well-being. These days we have lost the rhythm of nature and this imbalance causes stress. Yoga works at a physical, mental and emotional level. The practice of yoga helps to restore balance, harmony and well-being. 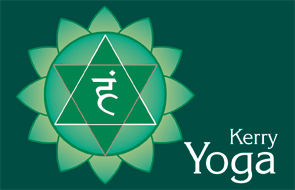 Michael has had direct experience of the transformational power of yoga in his own life; he knows both the stresses of business and the responsibility that family brings; he has four children, one of whom has special needs, and he firmly believes that yoga has provided him with very powerful tools to enrich his daily living. It is this knowledge and belief that inspires him to guide and encourage others. He wishes to share the tools of yoga; to impart the capacity to access that inner core of calm and well being that is within us all and so enable us to respond with serenity no matter what life may throw at us.